Howlin' Wolf Records: SIX STRINGS: Lionsgate Home Entertainment: FIRST KILL... What Do you have Going On Mr. Willis? Lionsgate Home Entertainment: FIRST KILL... What Do you have Going On Mr. Willis? 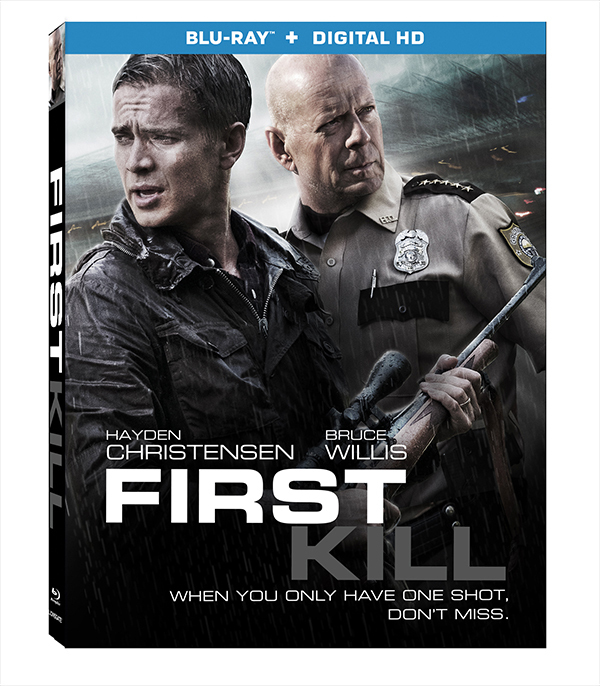 The nail-biting, action-packed thriller starring Golden Globe® nominee Hayden Christensen (2002, Best Supporting Actor - Motion Picture, Life as a House) and Golden Globe® winner Bruce Willis (1987, Best Actor, Television – Musical/Comedy, “Moonlighting”), First Kill, arrives on Blu-ray™ (plus Digital HD), DVD and Digital HD September 5 from Lionsgate. The film is currently available On Demand. After witnessing the botched murder attempt of a bank robber by his crew during a father-son hunting trip, Will (Hayden Christensen) ends up entangled in a web that forces him to evade the police and recover the stolen heist money to save his son. Directed by Steven C. Miller (Marauders), written for the screen by Nick Gordon, and from the producers of Lone Survivor and 2 Guns, the First Kill Blu-ray and DVD. 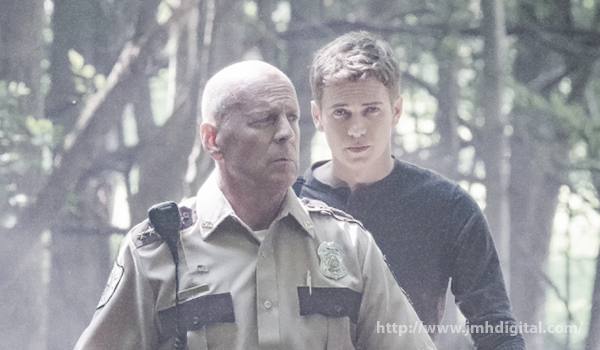 In an attempt to reconnect with his son Danny (Ty Shelton), successful Wall Street broker Will (Hayden Christensen) takes his family on a vacation to the cabin where Will grew up. While Will and Danny are hunting, their trip takes a deadly turn when they witness the murder of a crooked police officer as a bank robbery goes awry. When Danny is taken hostage by the criminals, Will is forced to help them evade the police chief (Bruce Willis) investigating the murder and recover the stolen money in exchange for his son’s life.